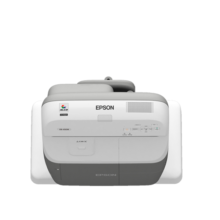 Make presentations brighter with the Epson EB-925, which gives a super-clear XGA picture, has smart features to enhance meetings and is easy to set up. This highly versatile Epson EB-925 harnesses Epson’s latest 3LCD technology to deliver professional high image-quality presentations ideal for school and business environments. This projector series features both horizontal and vertical keystone correction, giving you greater choice of projector placement at different angles. You no longer have to limit placement to the centre of the desk. 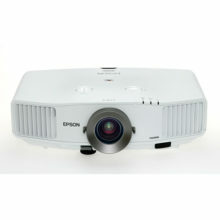 The wide 1.6x zoom lens gives you even greater flexibility in projector placement within the room. This allows the projector to fit perfectly into the already existing mounting position of the previous projector. With a longer foot stand, you have a greater range of projection placement possibilities without the need to use external objects to adjust the projection angle. Enjoy greater flexibility in seating arrangements around the projector. With the exhaust positioned at its front, none of your audience will be exposed to and distracted by the hot exhaust. Keep your whiteboard presentations professional by projecting a choice of line templates on your whiteboard to guide your writing and arrange your writing space. The powerful 16W built-in speaker replaces the need for an external speaker and delivers high-quality output even in large rooms. For professional presentations in larger rooms, simply plug in a microphone to the microphone input terminal to enhance audio effectiveness. With longer lamp life up to 6000 hours, the lamp unit need not be replaced as often, allowing you to save on maintenance time and costs. The new electrostatic filter has a surface area more than double that of current models. This extends the maintenance cycles to up to 5000 hours, leading to dramatic savings in time and maintenance costs. 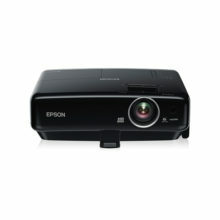 This projector series offers advanced connectivity features that allow you to incorporate additional technology to make more effective and convenient presentations. 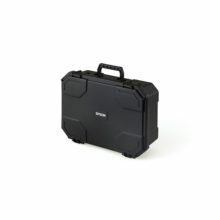 Its wide-ranging compatibility with devices like HDMI, LAN cables, document camera, microphone and PCs make it well suited to any classroom or large room setting. With Easy MP Monitor, Epson’s proprietary network monitoring software, you can easily monitor all your projectors and keep them running efficiently, even across the largest networks. Configure remotely and programme email alerts for pre-defined critical indicators such as non-functioning devices or overheating lamps. Projection setup has been made so easy. This projector series allows control, image and sound transmission from a computer to projector via a simple USB cable. No complicated cabling is needed. 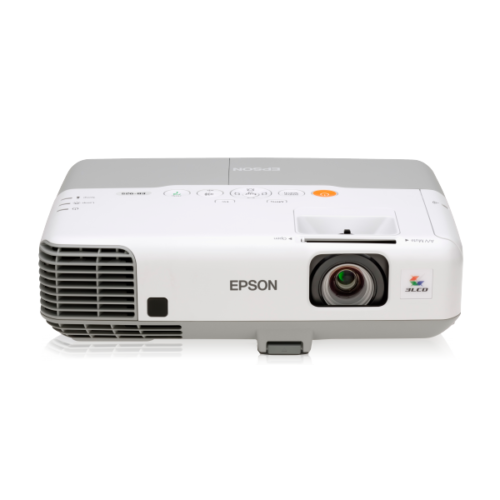 Designed to better assist the way you teach or present, this projector series conveniently connects directly to your Epson Portable Document Camera via USB cable for more effective presentations. Complicated cabling becomes a thing of the past with this projector series allows you to connect wirelessly through LAN and to your computer. In addition, direct wireless connection between the projector and your computer, and wireless transmission of sound are possible.